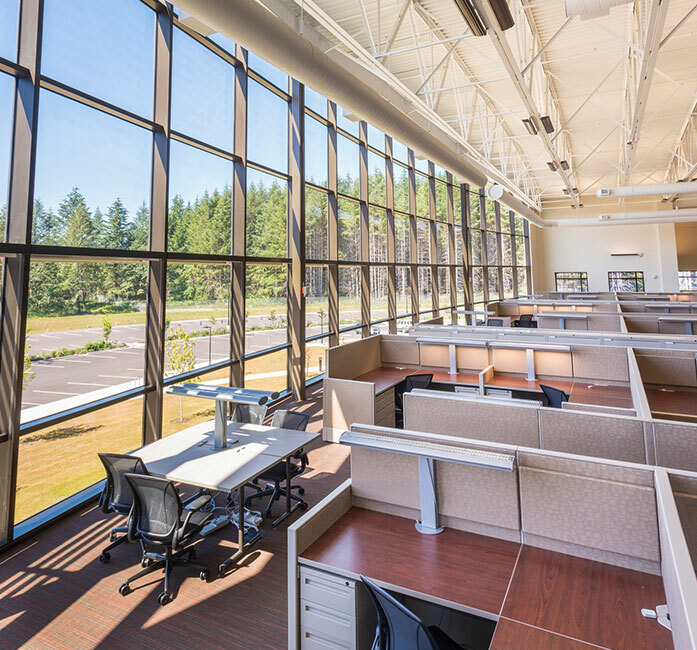 GLMV designed this 120,000-square-foot facility at Joint Base Lewis-McChord near Tacoma, Washington, to support tactical operations, surgical, and food laboratories. 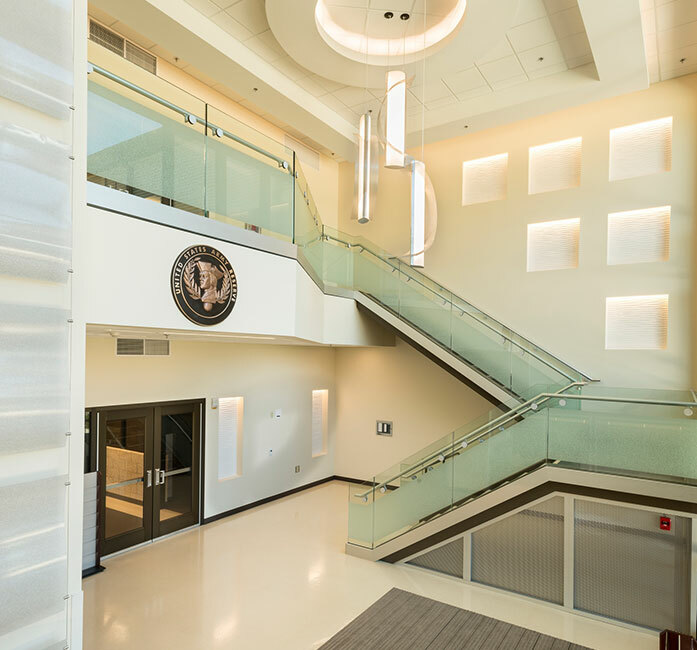 The training center includes a medical simulation training room, SIPRNET training room, assembly hall, library and learning center, arms vault, kitchen, and physical fitness areas. The organizational maintenance shop features repair bays, a bridge crane, lubrication system, and tools and parts storage. 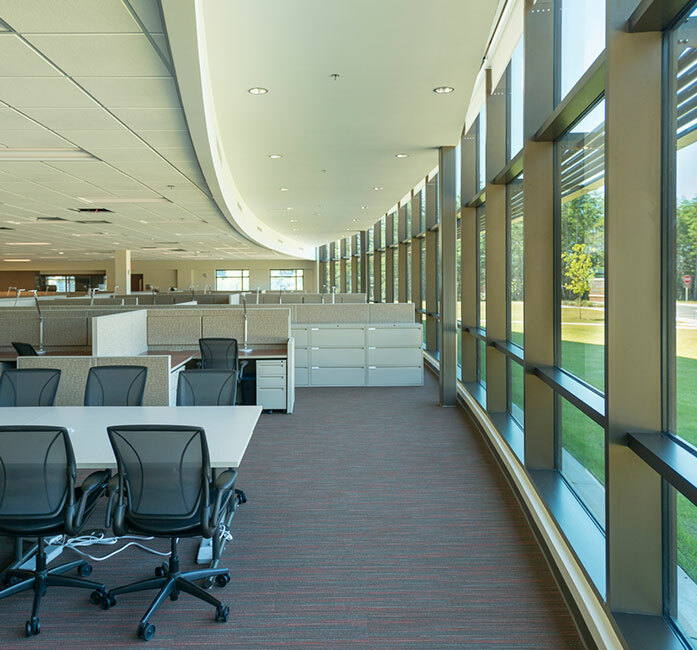 One of our greatest concerns in designing barracks is to create a desirable place to live for military service members. We’ve met this need by designing a variety of barracks with an emphasis on neighborhood characteristics, exteriors aesthetics, human scale, and inviting outdoor features to encourage leisure and socialization. After Fort Lewis and McChord Air Force Base combined to become Joint Base Lewis-McChord, the installation experienced a need for expanded housing options. The barrack designs differed from complex to complex, depending upon the needs, families, and structures of individuals, and resulting in base housing as diverse as the population it serves.